This charming design is from the fountain garden in front of Sanssouci Palace in Potsdam, Germany, near Berlin. I often photograph designs like this for possible inspiration later. This one I can imagine worked up in many ways: colorful folkart-style embroidery, or elegant white-on-white embroidery to mimic the white marble, or a carved block print, or a cyanotype print (of course!) Photos of stone carvings often make great cyanotype images, because they benefit from the high contrast. 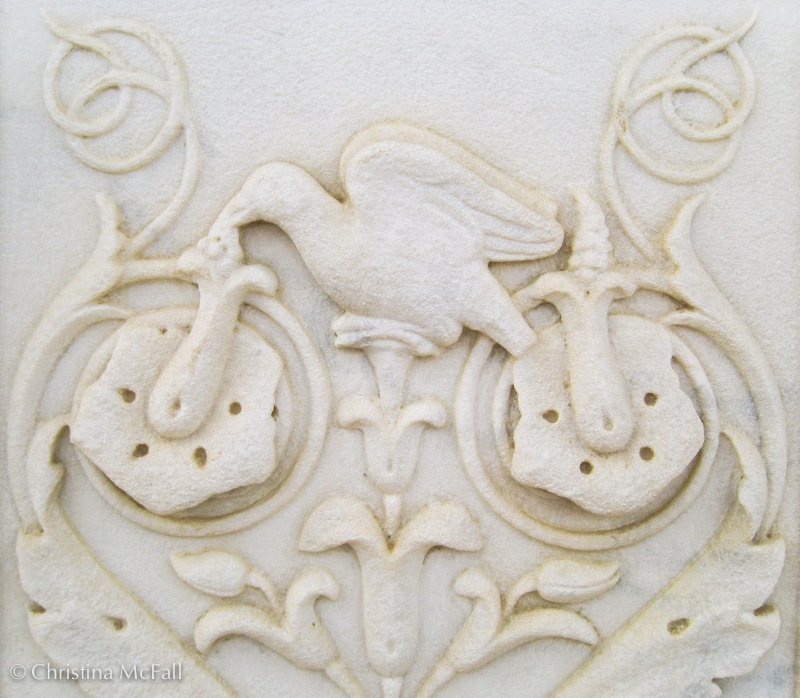 One Response to "daily photo: sanssouci bas-relief"